SoftBank (SFTBY) tops our list. The tech giant’s board is investigating who led a smear campaign to remove two key execs from the company. The Wall Street Journal reports Alessandro Benedetti, an Italian private-equity investor, was working, in part, for the benefit of a SoftBank insider. Smears included sending shareholder letters calling for their removal, media leaks about personal finances, and a complaint with the SEC. Campbell’s Soup (CPB) is expanding its snack business. 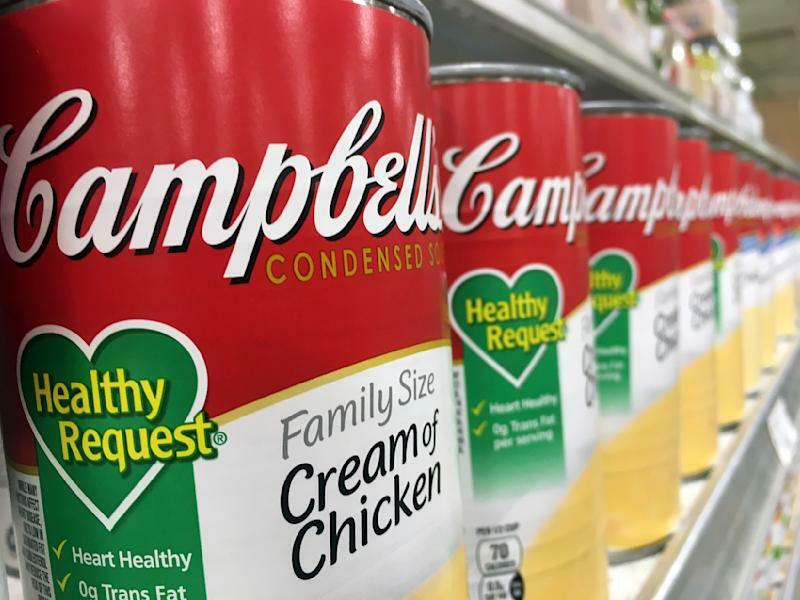 Snyder-Lance approved Campbell’s acquisition of the company on Friday. The takeover diversifies Campbell’s food offerings to include Hanover pretzels, Lance sandwich crackers, and more. Whole Foods (AMZN) continues to benefit from the Amazon takeover. The e-commerce giant says shoppers are making more quick trips to Whole Foods stores that have installed Amazon lockers. Short “micro” visits, defined as three to five minutes in length, were up 11% at stores with lockers. Analysts say that when Amazon shoppers pick up their packages from the store, they are more inclined to make small purchases like drinks or snacks. America’s oldest gun maker, Remington, is filing for bankruptcy. The company’s CFO says sales fell significantly in the past 12 months. Remington also faced lawsuits tied to the Sandy Hook Elementary School massacre. The gunmaker employs over 2,700 workers. *An earlier report stated Campbell’s Soup is re-branding itself as a snack company. Campbell’s has confirmed to Yahoo Finance that the company is not re-branding.